It’s summer time and if your little one is celebrating her birthday around these months, make sure you give them and her friends a respite from the heat. Organize a Frozen theme birthday party that your kids and their friends would enjoy to the hilt. Here are some amazing Frozen theme birthday party ideas that would pep up the celebrations. 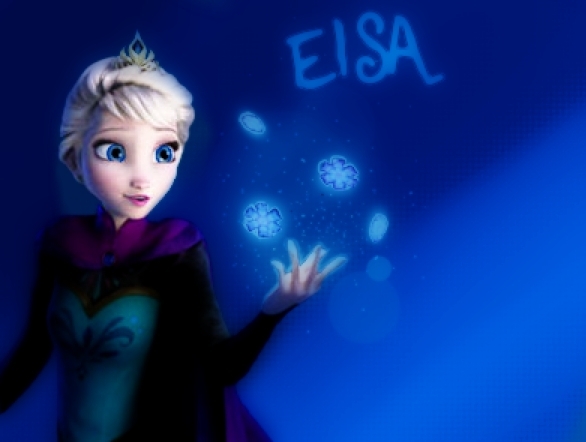 Frozen is a cartoon film that has taken the world by storm and left kids pretty much obsessed. So, it is indeed obvious that they would enjoy being at a party designed around this theme. Here is a checklist of things you would need for organizing the perfect party with the theme of Frozen. From invites to birthday dress, cake, decor, accessories, wearables for the guests, and from food and drinks, to party favors, here are a few DIY (do it yourself) tips for each of the aspects that would help you organize this amazing theme party. More importantly, without burning a hole in your pocket. Frozen is all about shades of blue and white. So you should try and stick to the same colours even at your party. If the invite is for your baby boy’s birthday, try and keep it in a simple white sheet with blue font, or vice-versa. A card that is cut in the shape of Olaf would be great, if you can craftily do it. You can play around a bit and try adding a small lace or frills to the invite to make it look like a frock worn by Elsa. You can also design a card that has stickers of Anna and other characters from the cartoon flick. Turn your house or the party venue into the Frozen castle using fake snow that can be created using nothing but a bar of Ivory soap and a microwave. Take a bar of bath soap and place it in the microwave-safe container and simmer it for not more than two minutes. This would create a cool fluffy ball of snow that you can use to decorate the party venue. Cut out old white socks to create cute little Olafs that would deck up your walls for the party. Fill the socks with rice up to three-fourths of its length and fasten it with a clean hair band, do the same for the rest of the socks as well to create two other portions, i.e., Olaf’s body and face. Use craft paper to make the body parts for the Olaf and stick hands, legs, and face to the snowman. Do not forget the blue and white balloons while decking up the venue. These balloons can pep up the mood of the party if you add your sketching skills to them. Form an arch at the entrance to the venue. You can also use frozen ice balloons. Here is how you can do it. Add a few drops of food colours to water and fill the balloons and let it freeze. When frozen, simply pop the rubber and pull it off the ice. Use boiled water if you want your ice balloons to stay clear. However, restrict to using these balloons as decors at places where the balloons might not melt, to avoid a messy party space. Give a stylish twist to the simple white frock you brought for your princess by heming layers of blue net frills that would make it resemble the dress of Elsa. You can also make your child wear a cape over her frock to make it look like Anna’s attire. Add a silver crown to the attire and complete the princess look, which would set apart the birthday girl from the tiny-tots attending the party. Although most would associate Frozen with a theme for girls, specially when it comes to dress, you can also host one if your son wants to have a Frozen party by dressing him to be Olaf or Kristoff. When a film scales up in popularity with the rapidity of Frozen, you can bet that all the kids would want a birthday party around this theme that has the movie scenes coming to life. And not to forget the glistening ice castles, adorable characters, and mountains of snow, that they might ask you for. Well, we understand that you cannot arrange for all these in your party venue. So why not bake a cake that has it all? There are many bakers to help you do this with a prior order. So, give it a shot and surprise your child. Make cute snowflake wands using pretzel sticks and frostings that the kids would love. To do this, you would need blue and white candy melts along with blue sugar pearls and pretzel sticks to do this. All you have to do is to melt the candy in a microwave and drizzle these melts over the pretzel. You can use the white candy melts for decoration as snow on top of the pretzels, while the blue can double up as decor all over the pretzel. Serve your little guests with juice that has blue ice and watch them stare in amazement. You can do this by filling the ice trays with edible blue food colors and water. You can also fill in blue squash in the ice tray and freeze it to get colorful ice cubes. Create a mix of snacks ranging from pretzels, fryums, and gems of blue and white colors and serve these to your guests in a bowl. You can also serve vanilla ice-creams with blue gems to your guests. Milk puddings and other Desi milk-based snacks can add an attraction with blue food colors to part of the snack, while retaining the natural white color in the other half. Marshmallows are something we all love as much as we love Olaf. So why not serve your guests with some edible olafs created with marshmallows? All you would have to do is to bind together marshmallows with toothpicks and use tiny orange candies for nose. Let the age-old pin the donkey be transformed the Frozen way by asking your guests to pin the Olaf with its nose. All that you need to organize this fun game is a bunch of carrots and a cardboard cut and painted like the Olaf. You can also engage your kids in some activity that would add to your decor with blue color and sparks to playdough and ask them to create anything they feel like. Gift your guests with pencils and goodies that replicate those in the Frozen movie. Or you can give away the crafts kids made while having fun at the party.